If you are looking for the best Hip Hop R&B party on a Sunday nights in South Beach Miami Trade (Loft) nightclub is the place to party! Hip Hop and R&B spinning all night long every Sunday night. This amazing party is a very popular night with top Hip Hop celebrity preformers. The nightclub is 7,500 square feet with state of the art lighting and the sound system is amazing. The bar decor is beautiful and contemporary and the nightclub is completely customized with the perfect dance floor to party the night away. One way party bus transfer from the open bar lounge to the nightclub. Hosted no wait express club entry. 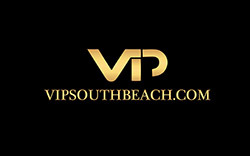 Nightclub admission is included in the package price. The total Trade (Loft) Nightclub Party Package Price is $45.00 per girl and $70.00 per guy. 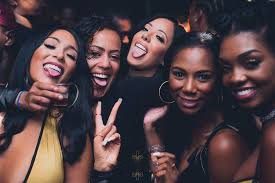 *To reserve the Nightclub Party Package the deposit is $25.00 per girl and $30.00 per guy and you pay the remaining ticket balance of $20.00 per girl and $40.00 per guy at the open bar lounge. *To pay the party package ticket deposit of $25.00 per girl or $30.00 per guy please fillout the deposit form below and enter you credit card information on the secure Pay Pal linked page once you press the Pay Now button. With your party package deposit the card holder acknowledges and agrees to all the Terms and Conditions of our services and our nightclub party packages.